There are varieties of myths which are bombarded on you, if you happen to use razors for hair removal purposes. One, topping the list would be ‘dark underarms’. I don’t really have that issue but I thought why not take measures in case they turn out to be true. 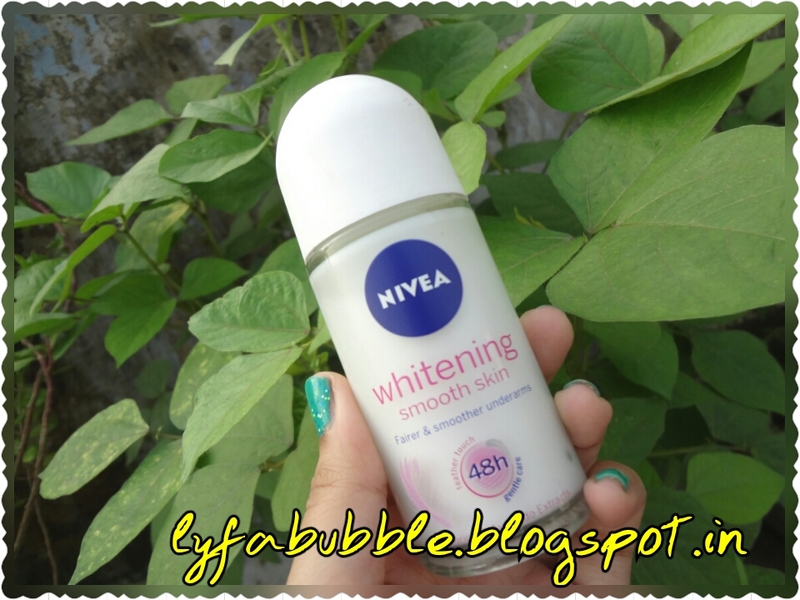 This was the reason why I ended up picking a “whitening” product. Otherwise, I stay clear away from such things. Today I shall be reviewing “Nivea Whitening Deodorant” roll on. This product comes in a cute, compact and sturdy packaging. It has a strong glass bottle which doesn’t break if it suffers a short height fall. It is travel friendly but there is one minor problem, i.e. it is a little heavy as per its size. 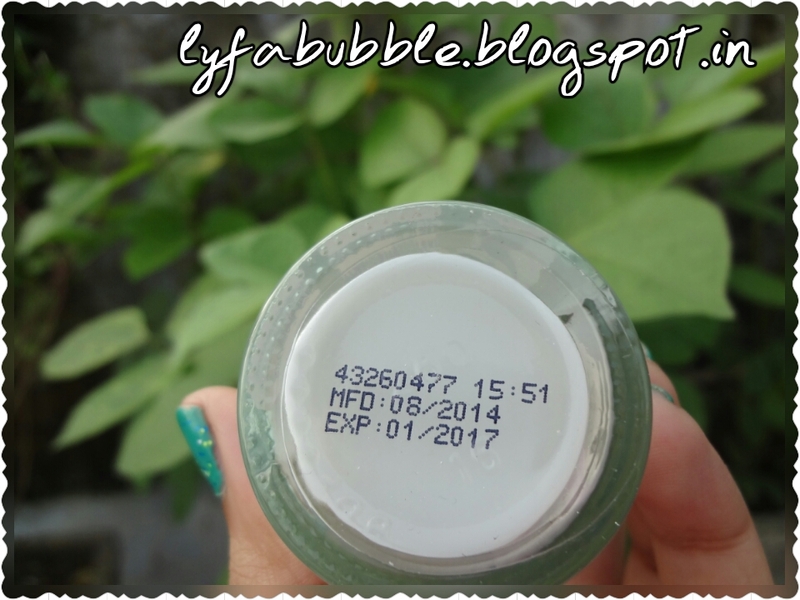 The bottle is transparent, so you can easily view how much content is still left. It has a non-glossy plastic cap. 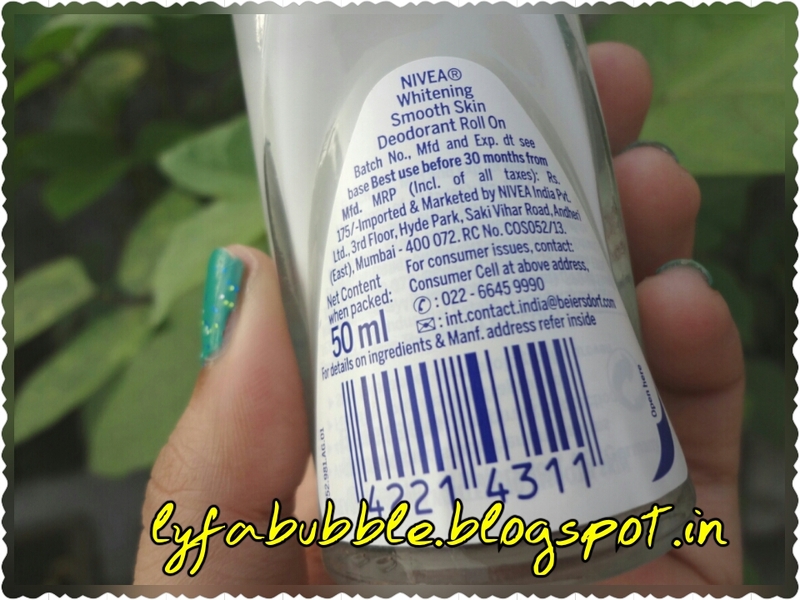 Since the product is meant for whitening, its entire bottle is white, except the graphic logo and other details. 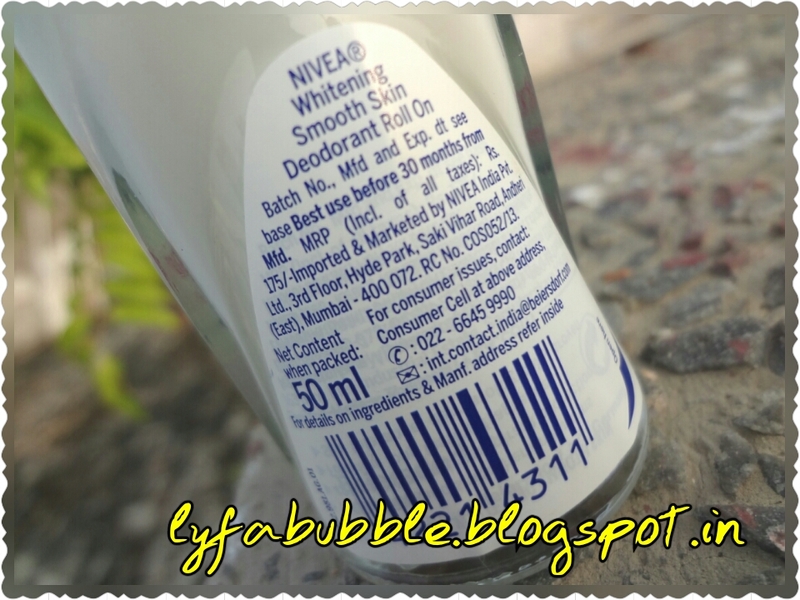 It retails at Rs 175 for net content of 50 ml. The packaging claims that it has a staying power of 48 hours, which is definitely not true. It contains “Licorice & Avocado Extracts”. What is “Licorice”? I have no clue! I only understand “rice”. Just kidding. By sniffing the product, you can’t really smell avocados. Anyways, the fragrance of this roll on resembles cucumbers I guess. It smells of everything fresh. Once you apply this deodorant, it comes out white like a lotion, but it is light weight in consistency. 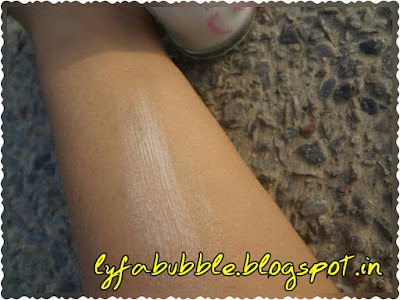 It doesn’t leave any white caste behind and there’s no smearing of the product on your clothes. The fragrance stays up to 6 hours which is clearly a bonus. Yet, the 48 hours claim remains false. 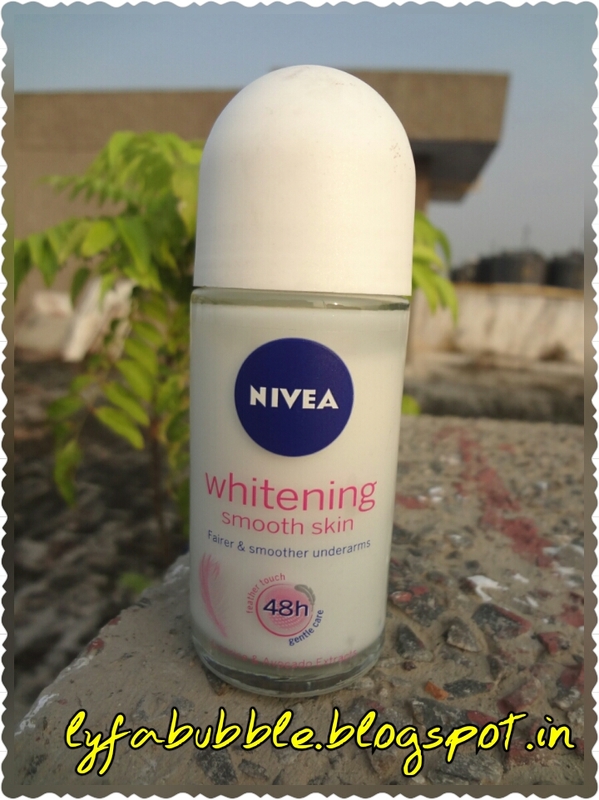 Let’s move onto the “whitening” claim, which is definitely the reason why buyers pick up this product. As I mentioned in beginning, I didn’t have any major darkness issue. Ironically, when I used it, I noticed that the places where this roll on had been rubbed looked a little darker than earlier! Immediately, I stopped its usage. After this, I stopped using it because in two uses itself I acquired not so good results. Now I am not sure if I’d give it a shot again. If you plan on buying it, then do a patch test first! Share with me your experience with “Nivea” deodorant roll on by commenting down below.